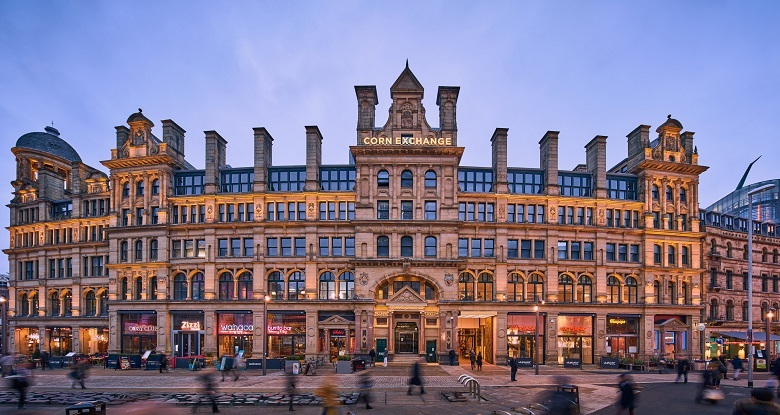 Last week saw the opening of the Roomzzz Aparthotel in the upper floors of the Grade II Listed Corn Exchange Building in the city centre of Manchester. This completes Phase 2 of the regeneration of the site that has been in existence since 1837. Phase 2 involved the removal of previous office space on the upper floors and subsequent re-working into a 114 bed apart-hotel for Roomzzz. Given the nature of the building, each room has a unique layout to utilise and complement the space. Phase 1 (complete in 2016) was the conversion of the lower parts of the building into a new dining space celebrating the Edwardian character of the building containing over 13 bars and restaurants. The completion of the hotel is the final piece of a 10 year regeneration project Aviva Investors UK Property Fund have been undertaking. We have been involved throughout the phases as Project Manager for Aviva Investors UK Property Fund. It has been tremendous to contribute our skills in bring this landmark Manchester building back to life for future generations of Mancunians and visitors alike to enjoy.